Believe it or not the sun does sometimes shine at Penicuik, and despite the dreadful weather that was forecast for the weekend, we were very lucky, with gusty winds and rain only being a problem during the 30m on day 1. 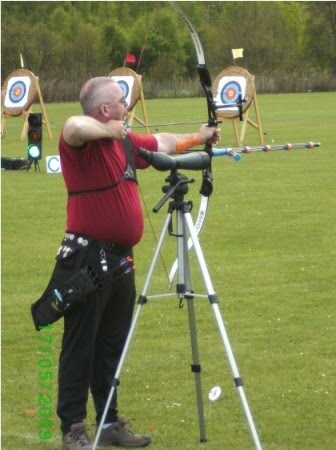 It was a much depleted field this year which was disappointing, but archers still came from as far away as Orkney for the event. Edinburgh Uni walked away with most of the Recurve prizes, so sadly none of us bought home any medals or trophies this time.